With the first day of school right around the corner teachers are looking for fun activities for their students! If you teach Math you will love these activities! The first week of school is an important week that sets the tone for your whole year. Taking time to get to know your students and for them to get to know each other helps build a classroom of community and caring. Here are some of my favorite ideas for back to school activities. I wish there was time to do them all! I love to read The Important Book to my students! It is a short, but sweet book with a great message about being yourself. After reading the book, I give my students index cards and have them write important things about themselves that they would like to share me and with the class. Once they have written their cards, I pick them up and shuffle. I read one card at a time without saying whose card it is and the other students guess whose card it is. A fun way to learn about each other! Another activity that would go along great with the book is to have your students make posters about themselves to hang around the room. This All About Me Craft would be perfect! Who doesn’t love a great selfie? You could have your students draw “selfies” or make collages of themselves doing a favorite hobby or activity. Then have students share the “selfies” with the class. Another idea for selfies is this selfie project which looks like so much fun! Download it for free! Get your students moving while you have a beach ball toss with questions designed to get to know one another! Student searches can also be a lot of fun! Here is a free download. How cute is this cootie catcher? Way cute, right! Need ideas for Back to School Math? For more great ideas, check out my Back To School Board on Pinterest. Need help with homework, homeschool, or classroom lessons? There are a lot of great resources on the internet! Some are better than others! Here are 3 that I think are pretty good! To PEMDAS or Not to PEMDAS? 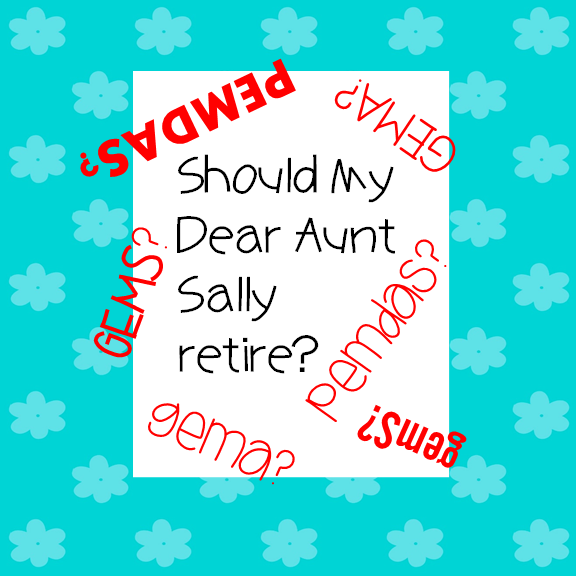 Should My Dear Aunt Sally retire? 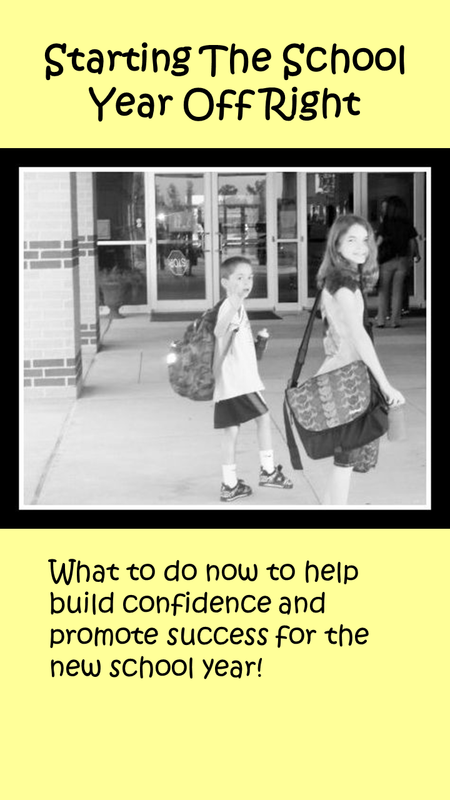 Back to School – Getting your child ready for a great year in Math! Yesterday I shared a few of my favorite websites for elementary math. 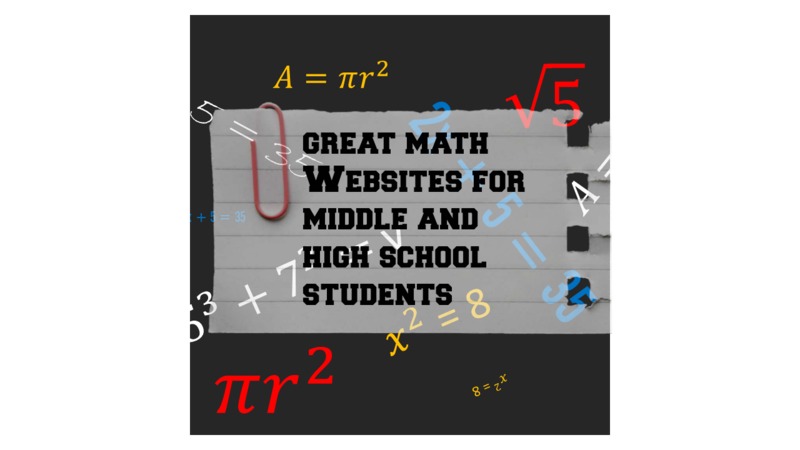 Today I would like to share some great sites for middle and high school students. These videos would be a good compliment to classroom lessons, homeschool lessons, or as a review at home.